Beauty And The Beast Crafts and Projects Made Easy! 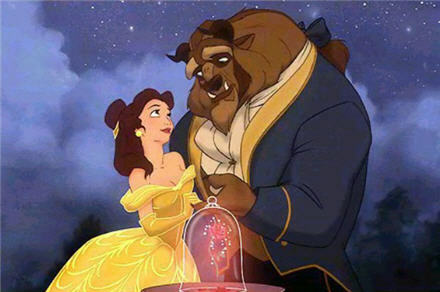 Beauty and The Beast is a Disney film that has been a huge hit since it was launched in the earl 1990's, in fact it is a film that many children today still see as magical and a film they wish to watch over and over. Now every child of any age who has seen Beauty and the Beast will have their favorite character, whether this is the Beast, the dog like foot stool or even the candle stick, there are many characters for them to choose from. Today we will go through one of many wonderful Beauty and the Beast crafts that I chose for you. A craft that your children can make as part of their playtime or simply for fun. This Beauty and the Beast craft is based on the Candlestick character called Lumiere as he makes for a great craft idea. Cut out a circle of the yellow card that is roughly 1 inch in diameter wider than the toilet roll. After this cut out one of the egg carton cups and paint or color the egg cup in yellow. Glue the egg cup to the card base down. Now paint or color one of your toilet rolls in yellow and glue it inside your egg cup. Cut out another egg cup, paint or color it yellow then glue it base down to the top of your toilet roll. To create the arms first take the candle you have made and put a hole in each side of the top of the toilet roll roughly 1.25 centimeters (0.5 inches) from the top. Now take your pipe cleaners and put them through the holes, you should be able to see the ends of the pipe cleaners inside the tube, pull them through the top slightly and tie a knot in them then pull them back through the holes made. Now you have arms. To finish off the arms cut out two more egg cups from your egg carton, paint or color them in yellow and stick them base down on to the end of your pipe cleaners. To finish off you need to add the candles. Firstly take a toilet roll and cut it in half, now cut one of the halves in half again. Once you have your three toilet roll pieces paint or color then in white. Take your two smaller toilet roll halves and glue them to the egg cups on the end of the pipe cleaners. Take the larger toilet roll piece left and glue this to the top of the candle in the empty egg cup. Now cut out three circles in white card that are the same size as the toilet roll circumference and glue them on the top. To finish off cut out three flames from the yellow card and glue these on the top of the candles. Did you enjoy this project? If you want more Beauty And The Beast Crafts and Disney Projects Ideas I recommend this.